Gionee , which is a big brand in china and has recently started its operations in India, has unveiled another Smartphone in India. We recently covered the teaser of gionee Elif E6 and now leaked details of another gionee smartphone GN705W with 4.5 inch display and a quad core processor have appeared. This phone comes with MediaTek processor MT6589 which is intermediate processor in MediaTek SOC 6589 series and is clocked at a frequency of 1.2 GHz. 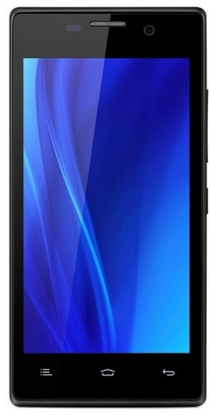 This is a low cost but powerful processor similar to that in Micromax a115 Canvas 3D. This processor is backed by a 512MB RAM, which is moderate, and a pretty standard internal storage of 4GB. This phone also employs Android 4.2 jellybean which is the latest android version. 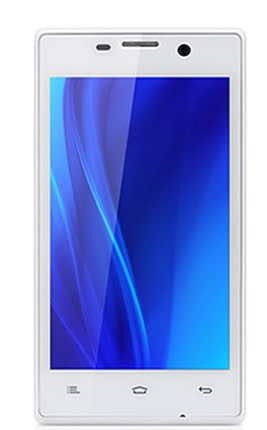 Gionee GN705W has a 4.5 inch display screen with a resolution of 480 x 854 pixels which gives you a pixel density of ~218 pixels per inch which is again better than Micromax canvas 2 but much less than many other phones with quad core processor. This device has a front camera of 5 MP with LED flash and a front camera of 3 MP for those interested in video calling. A front camera of 3 MP is a feature which stands apart, because this is expected to be a low cost phone and not many low cost phones offer a 3 MP front camera. This phone comes with a Dual SIM support and the battery capacity is rated at 1800mAh which with respect to a 4.5 inch display will be sufficient enough to get you through the day. We will have to wait till official announcement of this phone to know the exact price but it is expected to be low as it will be competing with Indian manufacturers like Lava and Karbonn unveiling low-cost smart phones. It might very well be a quad core device priced below 10,000 INR.